We will pick no pepper before it’s time. All peppers start out green, but we leave them on the vine to maximize their sweet taste. It’s that extra time and care that makes a St. David’s bell pepper. 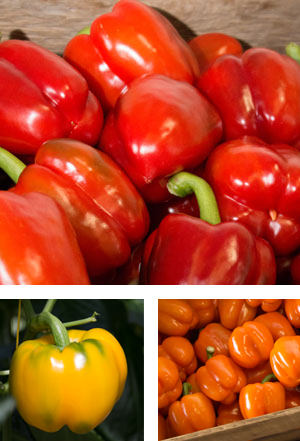 You can find our peppers in the greater Niagara area in specialty and traditional grocery stores as well as farmers markets and some of your favorite restaurants. But the majority are sold as bulk or packaged product to national grocery chains across Canada and the United States.